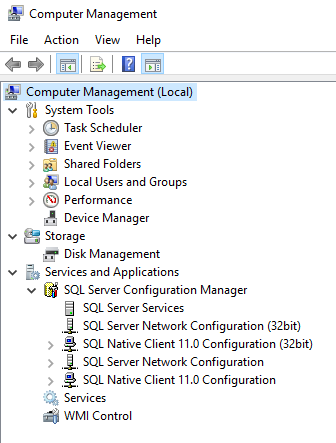 SQL: Why is SQL Server Configuration Manager missing? 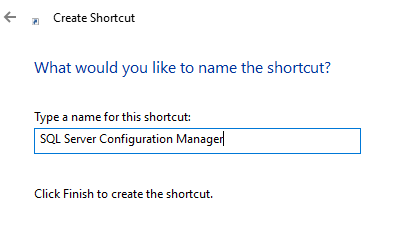 Ever since it appeared back in earlier versions of SQL Server, I've normally launched SQL Server Configuration Manager from the Start menu in Windows. 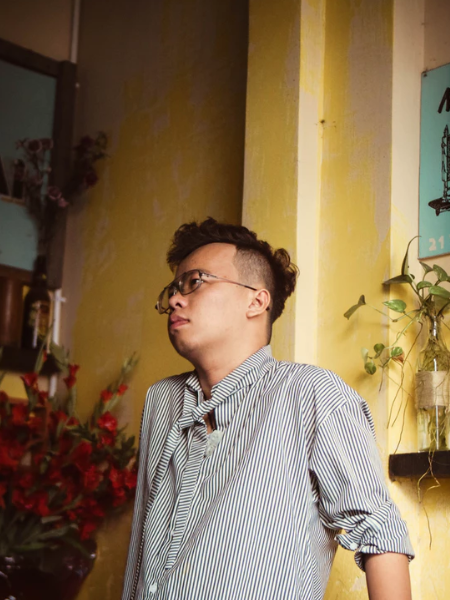 But every now and then, with some versions, it seemed to disappear. Now with the latest version of SQL Server installed on the latest version of Windows, it's not there at all. While it is possible to put it back in the menu, I think it's time for us to get used to starting it in a different way. 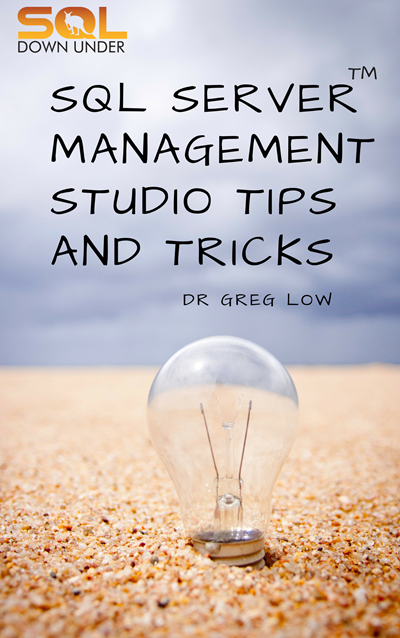 There are several ways to start Computer Management. You can choose it from the menu in Server Manager, or you can right-click your PC in Windows Explorer and choose Manage. Easier, you can just click the Windows Start button and type compmgmt or computer management. There's also nothing stopping you from typing the name of the snap-in directly too. For SQL Server 2017, you could type SQLServerManager14.msc and you'd launch it directly. But I want a shortcut! 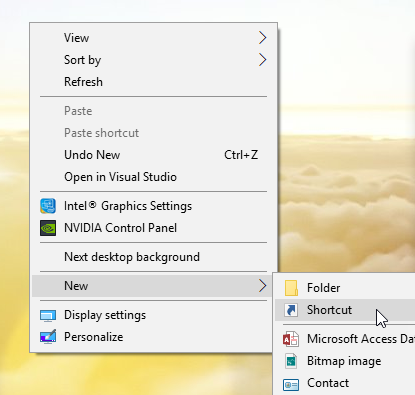 The file lives in the folder C:\Windows\SysWOW64 so you can always create a shortcut to it if you'd like to go back to the previous behaviour of having it in a menu or a shortcut. On your desktop, right-click and choose New then Shortcut. Then when you click Finish, you get a shortcut on the desktop. Now, I dislike a messy desktop so I don't want it there. 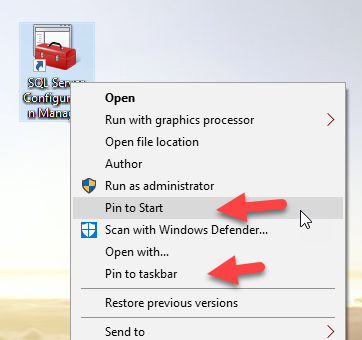 But you can then just right-click it and choose to put it on the Start Menu or the Task Bar. I then delete the shortcut on the desktop, and you have your easy launch option back.